I have been making this for years and it's always a huge hit in my family! While its a bit time consuming, it really is worth the effort and is simple to do. Add in the crushed tomatoes, paste, wine, herbs, stock, Worcestershire sauce, sugar and salt & pepper. Stir until combined then simmer for 30-40 minutes over the low heat. To make the cheese sauce: , In a saucepan over a low-medium heat, melt the butter. Once melted, add the flour and stir continually with a wooden spoon until it gathers into a dough consistency, and continue to cook for a further minute. Add in a ¼ cup of milk and stir. This will incorporate into the dough and will once again come away from the sides of the pan and look like dough. Once this happens add another¼ cup milk and repeat until all the milk has been added. Stir in ¾ cup of the tasty cheese and stir continually until completely melted and incorporated. Sea-son with salt and pepper if need be. In a large rectangle glass baking dish, put a ladle full of sauce and ½ cup of cheese sauce on the bot-tom, and spread out over the base of the dish. Lay some lasagne sheets on top (you may need to snap some to fit) without overlapping, but so they cover the whole base of the dish. Top this with more of the sauce and cheese sauce, and use the back of a spoon to evenly spread out, making sure to reach it right to the edges, and so its covering the pasta sheets completely. This will ensure the pasta won’t dry out. Top with some of the tasty grated cheese, and then do another layer of the pasta sheets on top. Continue layering the pasta sheets, sauce, cheese sauce and grated tasty cheese for around 6-7 layers, finishing by leaving the top layer with the sauce, cheese sauce and grated cheese but not putting any pasta sheets on top. Finally, top with the grated mozzarella cheese, loosely cover with alfoil (not touching on the cheese) and place into a pre heated moderate oven for 40-50 minutes or until pasta sheets are cooked. You can test this by sticking a skewer into the lasagne – if it’s done, there should be no resistance as you push through the layers and the pasta will be soft. I look forward to trying this lasagne recipe, thanks. Ow wow, looks mouth-wateringly good. I don’t like the bechamel sauce though. We love lasagne in our house and always make the large version — so there’s enough for 2 full meals and sometimes we can get 1 lunch out of it too. 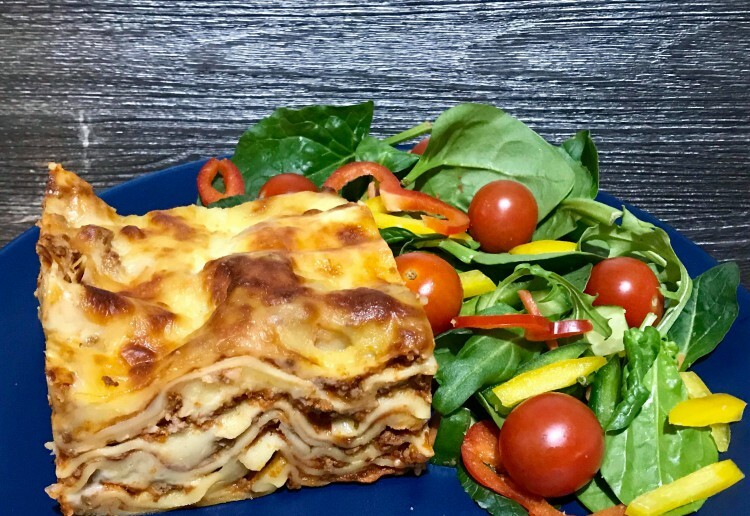 I wish my kids would eat Lasagne – such a great meal with a crisp salad on the side – thank you for sharing your recipe – I might just make it for me!! 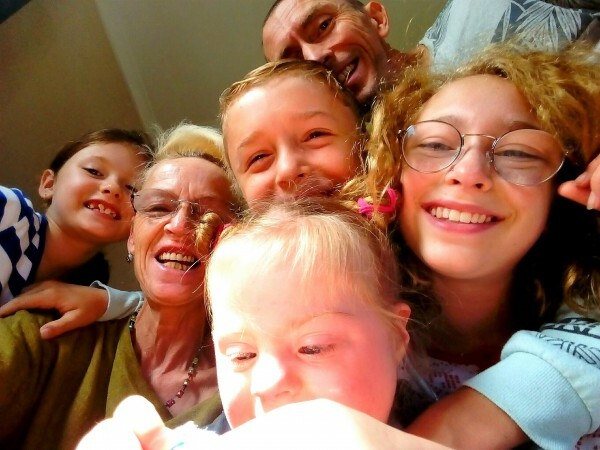 Thanks for sharing your family lasagna recipe – I do love to add to my collection of lasagna recipes. Maybe some Italians! My background is Italian and this is the way we have always done it lol! Hopefully this comes close to my DIL’s mother’s one. Thank you for this recipe. Hopefully this will feed our big family with salad for a meal. If not more salad or more garlic bread. Lasagna is such a good budget family meal. A lovely pasta meal that you can have over two nights and it is delicious!